Dr. Stephen G. Wallace specializes in hematology/oncology, and is board certified in internal medicine, hematology and oncology. For more than 7 years, he has been treating patients in the Mount Holly community. Dr. Wallace’s research is in oncology therapeutics. Dr. Wallace was born and raised in Cape Town, South Africa, and obtained his medical degree from University of Cape Town in South Africa. After medical school, Dr. Wallace spent 2 years working in Johannesburg, South Africa, which included a 6-month stint as a helicopter flight doctor. He also spent a year each in the United Kingdom and Canada prior to coming to the States. Dr. Wallace completed his internship at Baragwanath Hospital in South Africa, and then came to the United States and completed an internship/residency program in internal medicine at Albert Einstein Medical Center in Philadelphia. 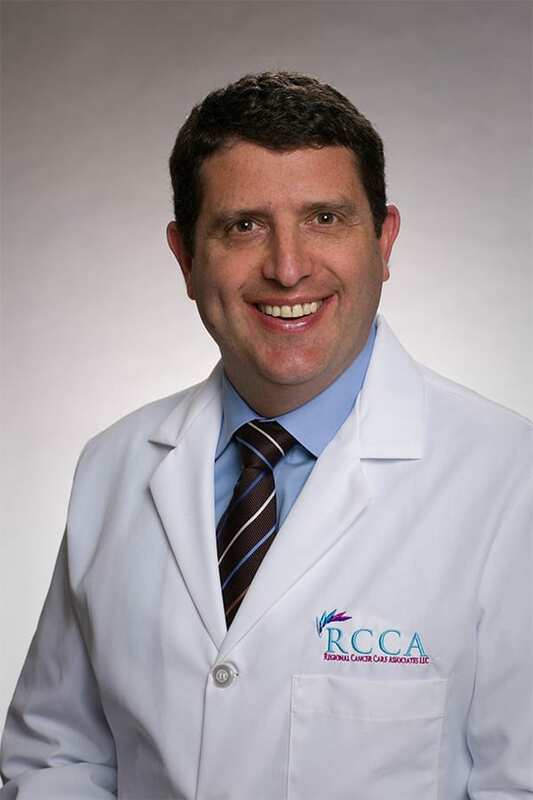 He continued his fellowship training at Fox Chase Cancer Center and entered private practice in Mount Holly in 2005.